I picked it up on Kottke’s mention, but didn’t stick with it. 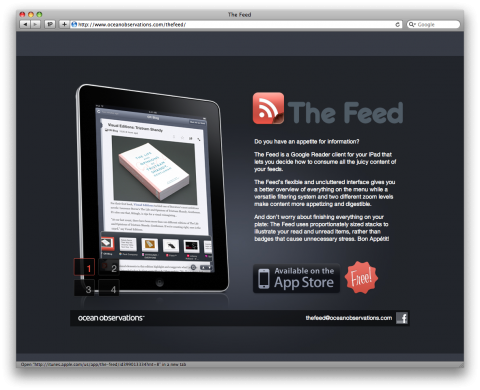 It’s visually appealing, but seems incomplete and lacks some basic Google Reader functionality. I’ll keep my eyes peeled for a 1.1 or 2.0 for sure.